Raised in the Metropolitan area of Washington D.C., Shakirah Monique McAlpine - Fayson was gifted with an innate affection for all things artistic that the world has to offer. Whether it be performing arts - initiated by her former life as a classically trained dancer, or interior architecture and design – emanating from a keen eye and an invested interest in the overall aesthetic of dwelled spaces, she is consistently fueled by a fiery desire to help others become healthy and whole by surrounding them in an environment that breathes life back into them daily all the while perfectly stamping their will to keep living. Coming from a long line of businesswomen, entrepreneurs, and creatives, inevitably prefacing her ambition and stirring a sense of fortitude within, Shakirah is currently a Masters IAD student at the Academy of Art in Los Angeles, CA and has been trained under some of the most seasoned designers in the country. Her continued practicum and artistic achievement has all been in an effort to prep her for this present venture of being a self-employed designer, founder, and business owner of the interior design powerhouse known as Sanctuary Rooms. At Sanctuary Rooms the team firmly believes that design has the power to shift atmospheres. Specific to home décor and abode arrangement, great design contributes heavily to the well rounding of human health and wellness. The unabridged passion to create design solutions, find unique furniture pieces and living decorum that speak to the individuality and personality of each client respectively is what sets SR apart and stands as not only their motto but also the mission statement that they live by in the quest of all-encompassing betterment. Rest Better, feel better. Think better, be better. Prince George's Premier Interior Designer | 3x Best of Houzz Winner! NyRai Interior Designs creates spaces that make a statement about your life. Due to the exquisite work that has been accomplished by NyRai Interior Design, we have become synonymous with unparalleled service and unmatched quality. This is because we pride ourselves in having great business ethics. Customers have complimented us on how reliable we are and how they appreciate, no matter the size of the space, the attention to detail. Established in 2006 as a full-service, multifaceted design and lifestyle brand, the Kier Company specializes in Residential and Commercial General Contracting, Schematic Design, Architectural Drafting and Rendering, and Production Design for Motion Picture and Television. We turn lifestyles into luxury. As your professional design and lifestyle team we manage each and every aspect of the project from conception through completion. We ensure our clients experience a level of luxury furnished by our company that is transformative, monumental, and unforgettable. The Kier Company is licensed to practice in General Contracting and Construction Management. The company is a Certified Business Enterprise (CBE) with the District of Columbia Government, Certified Disadvantaged Business Enterprise (DBE) with the Washington Metropolitan Transit Area Authority, the United States Department of Transportation, and the Metropolitan Washington Airport Authority. We look forward to turning your lifestyle into luxury! In order to help you grow your business, our carefully selected experts at Sanctuary Rooms can advise you in the areas of interior design and design consultation. From the paint color to the furniture, rugs to window treatments, every choice you make for your home impacts the overall look and feel. We make sure your home reflects your style and taste. The work of a professional can make all the difference. Whether your home has 10 bedrooms, or your apartment is 800 square feet, it can be tricky to create a cohesive look that is representative of your style. That's where a local Springdale interior designer comes in. A home decorator will help distill your tastes and ideas into a design that suits the needs of your space. Whether you need help creating a functional space plan, rearranging existing pieces, designing the inside of a new home, or simply sourcing amazing furniture and decor, seeking the help of professional interior designers and decorators in Springdale, MD is a must. A good home design professional will hone your style down to its very essence and be able to choose a functional layout that feels natural to you. Interior design companies can be involved as much or as little as the client desires. Many clients who hire an interior decorator in Springdale, MD — particularly those who are remodeling — have a good sense of how the room should look and what products they should use. Often clients will insist that interior decorators use the products already present in the house. Other times a designer will need to start from scratch — especially if this is a newly purchased or just-built home. An interior design company will need to figure out exactly what the client needs, which includes organizing rooms, picking flooring and wall colors, and finding furniture to complement it all. Sometimes that means he or she will have to recruit help from other Springdale, MD home professionals to help create the perfect look for your renovation. Here are some related professionals and vendors to complement the work of interior designers & decorators: Architects & Building Designers, General Contractors, Home Builders, Design-Build Firms, Photographers. 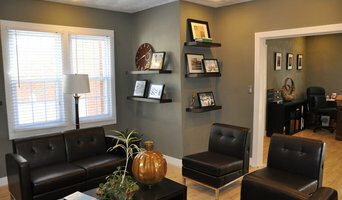 Do your research before meeting with an interior designer or home decorator in Springdale, MD. Ask yourself what you want your space to become and what it will be used for. Figure out the extent of what you need help with, what your must-haves are and what your budget is. Interior design services can add up fast, so be up front with a potential design firm or individual from the beginning. Also, pick an interior decorator that fits your style. Browse through the portfolios of different Springdale interior design firms and decide if you would live in those houses. Just because you like something doesn’t mean you could live in it. There's a big difference! Find an interior designer or home decorator in Springdale, MD on Houzz. Narrow your search in the Professionals section to find Springdale interior designers near you. 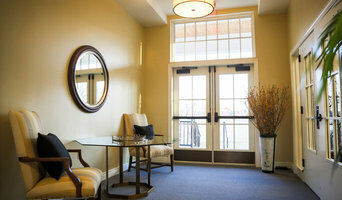 You can also look through Springdale, MD photos to find a room you like, then contact the design firm who designed it.